Author: Schweighardt, Joan Set In . . . 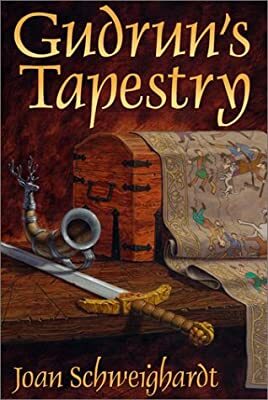 Description: Gudrun's Tapestry is a powerful, enchanting and vivid tale of one woman's quest to eliminate Attila and his Huns, bearing only the cursed sword of Wodan. Along the way Gudrun unexpectedly discovers the capacity to love a man who may be a mortal enemy. In finally confronting her true self, she finds that she must embark on an inner journey to cope with adversity in the outer world. Grounded in history and loosely based on the Poetic Edda, Gudrun's Tapestry takes the reader on a quest of self-discovery in a tale of magic and courage that resonates through the centuries to touch the reader's heart and soul.